Internal audit has evolved tremendously and is now increasingly involved in areas of Risk Management & Fraud detection and so the effective use of Technology is essential to succeed in this evolving mandate. Technology can Automate IA processes of ongoing monitoring of Internal Controls and the time efficiencies gained can be used in other high-impact areas.By leveraging Technology to identify Risks, Test Controls and Examine Data Evidence in an all-inclusive platform, Audit steps up from conventional Audit methods to next level of Assurance. While the use of conventional Software for Internal Audit has created efficiencies in the past, it still has a lot of scope to change the fundamental approach of Auditing. Integrated Platform Technologies have functionalities for Big Data analysis and hence takes Audit to next level by allowing entire populations of Financial and Operational transactions and other data to be comprehensively tested and analyzed on a Real-time basis enabling Anytime, Any device, Anywhere Governance. With the inclusion of Robust Collaboration tools, the Integrated platform also enables Safe and Secure Official collaboration thereby ensuring Information Security. 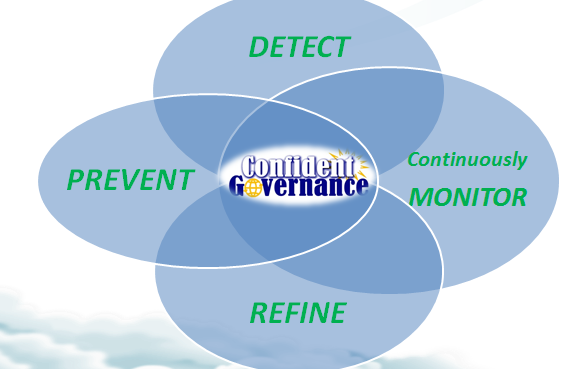 Give us your feedback on these insights at info@confidentgovernance.com and we can take up this dialogue further. In our next post, we will discuss about the fourth very important aspect of the Modern Internal Audit. Stay tuned and participate..! !